We love focaccia. It is an italian bread, usually baked with olive oil, herbs and different spices. Some also use sun dried tomatoes in their focaccia. 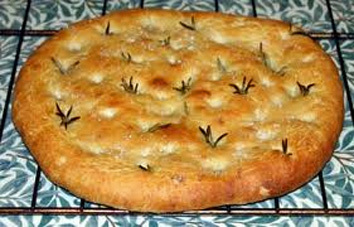 I love all kinds of focaccia. Especially the ones with olive oil and rosemary. You can enjoy an excellent breakfast or lunch with focaccia, tomatoes, olive oil and a little bit of prosciutto. If you are really hungry, add mozzarella to this dish. Then, enjoy an espresso, or a double espresso. What a great start to a new day! 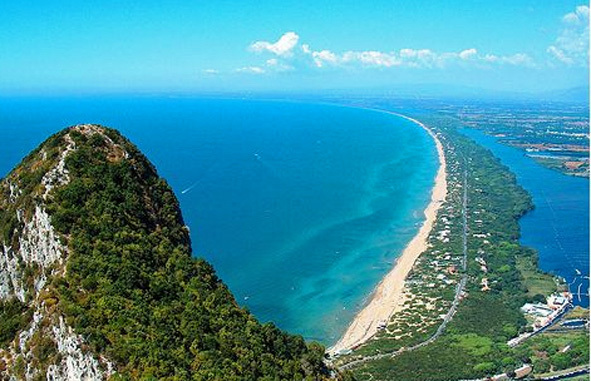 We spent one vacation in Sabaudia, which is found 90 kilometers south from Rome, by the sea. What a great place! 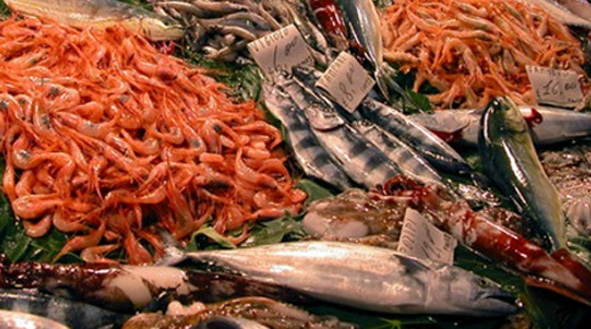 On Thursdays the people of Sabaudia organized a market. And what a market it was. Near the corner of Corso Vittorio Emanuele II, one could find almost 100 different vendors selling fresh fish, vegetables, fruit, bread, cheese, pants, shirts, skirts, hats, shoes and almost anything one can think of. As we do not have such markets in Finland, it was quite a neat experience to stroll through the market and make some small purchases. We wanted to visit Rome. So we bought train tickets from the Sabaudia tourist office. I was surprised how little the tickets cost. Just around 10€ per person. 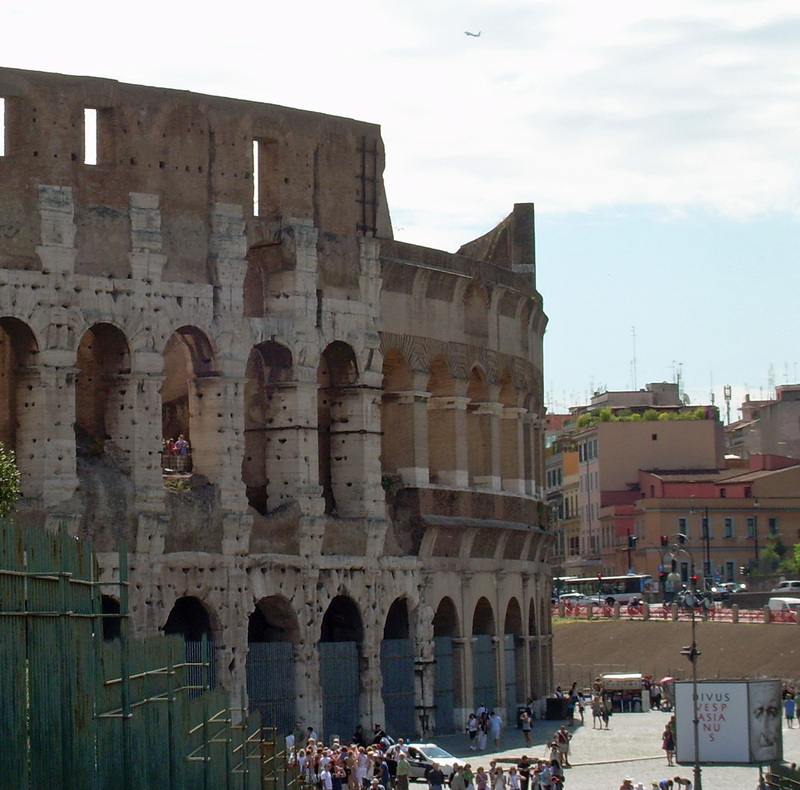 They included a 1 hour train ride to Rome and back, as well as bus and metro tickets. 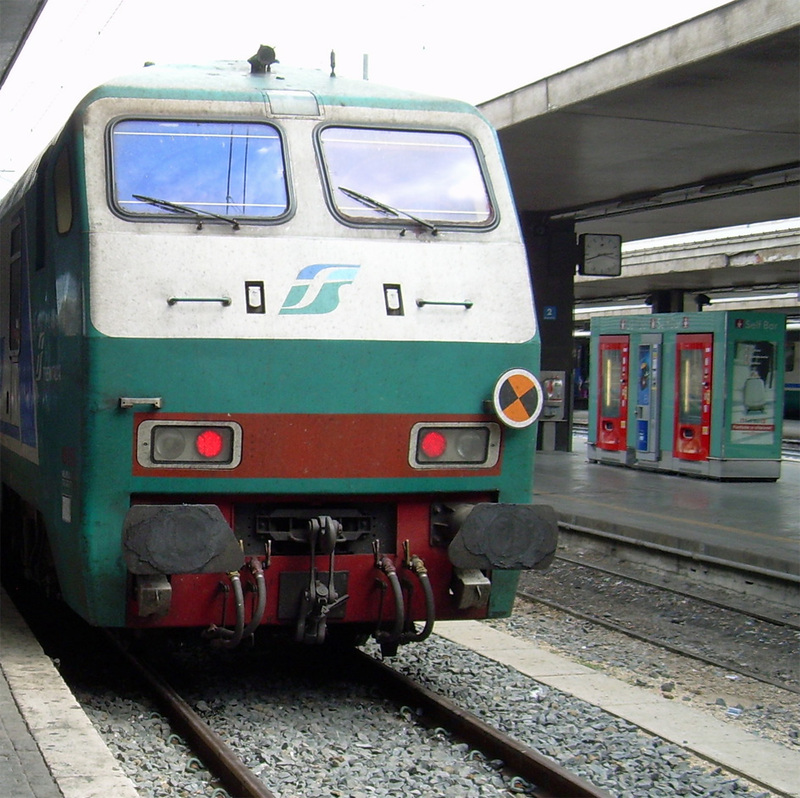 We made a test drive to Priverno-Fossanova train station, so we would know how early to drive there the next morning. We had no idea if there was a rush hour at 7 AM or not. 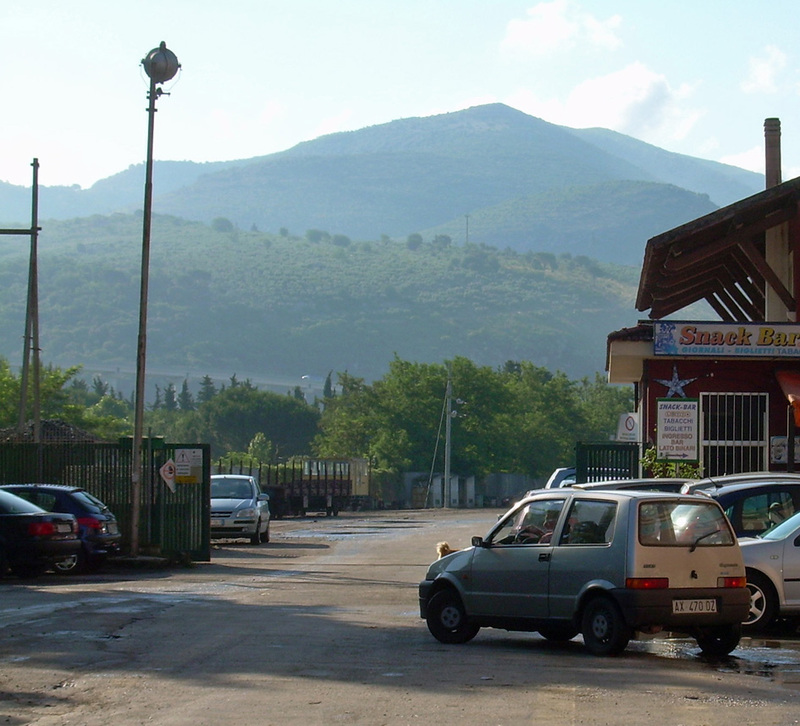 The town of Priverno situates about 20 kilometers from Sabaudia. It was fun to drive inland as we had only so far seen the town of Sabaudia and the beautiful beach and the Mediterranean sea. We found the train station easily. I checked the timetables to be sure of which trains actually stop at this small train station. We decided to try the 8 AM train. Then we strolled around the area and took some photos of the scenery. In the east we saw green hills and beautiful mountains. The sky was blue and the sun warmed our skin. A great day was starting. We drove back to the house, got our swimsuits and towels and headed for the great Sabaudia beach (which is more than 20 kilometers long). The next morning was my husband’s birthday. 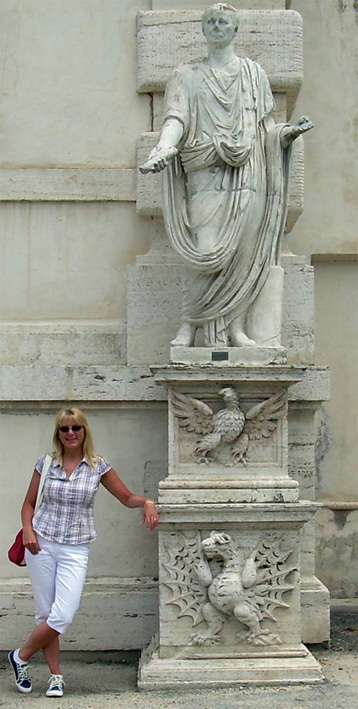 I had promised to take him to Rome. It was a fun train ride. The scenery changed during the 1 hour trip from green hills to mountains, and from small cities to historical sites and the beautiful city of Rome. We had decided to make some trips by taxi, as the day was unusually hot and it was my husband’s birthday. The taxis do not cost much. 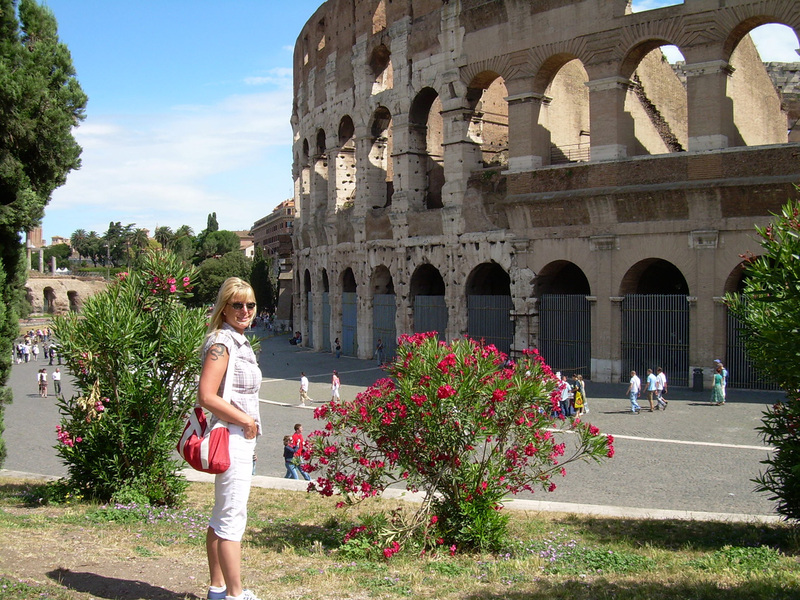 I was surprised it cost only 8€ to Colosseum and the same to Villa Borghese. Recommend this if you like air conditioning. You still have plenty of possibilities to walk and view the scenery. Our taxi driver was fabulous. He drove very well and he told us about Rome the whole way to the Colosseum, which was our first stop. 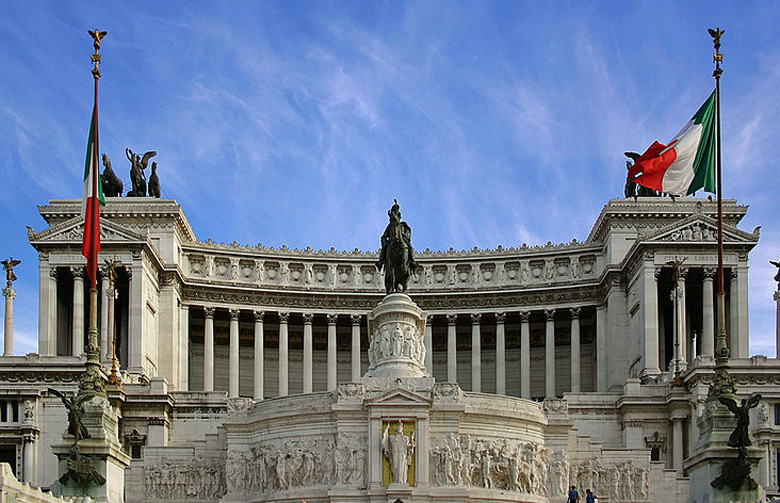 Monumento Nazionale a Vittorio Emanuele II (Altare della Patria) is an amazing monument which was designed by Giuseppe Sacconi in 1885. 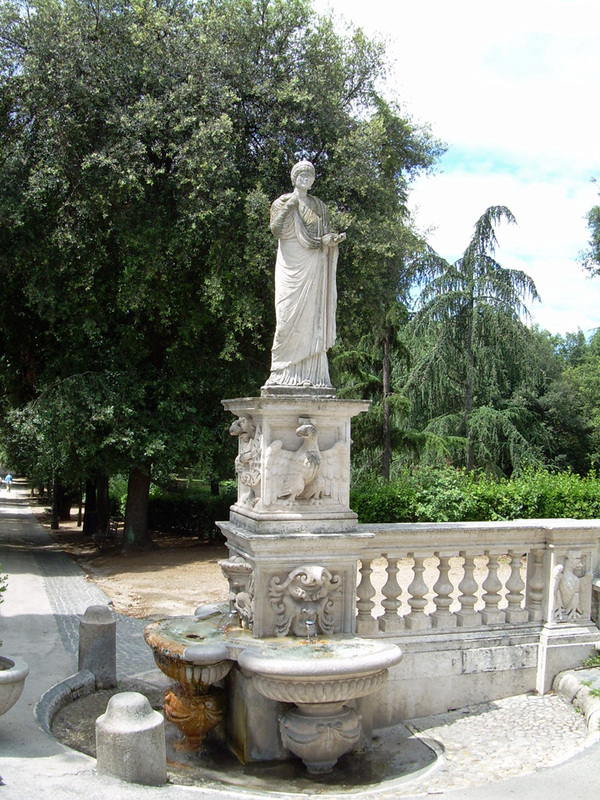 We took a taxi from the cafeteria to Villa Borghese. We drove through Piazza Venezia towards the north. This taxi driver was friendly too and told us a little bit about the things we saw during our short drive to Via Veneto. We strolled in the park. It was a hot day. But the huge trees gave us shadow when we needed it. 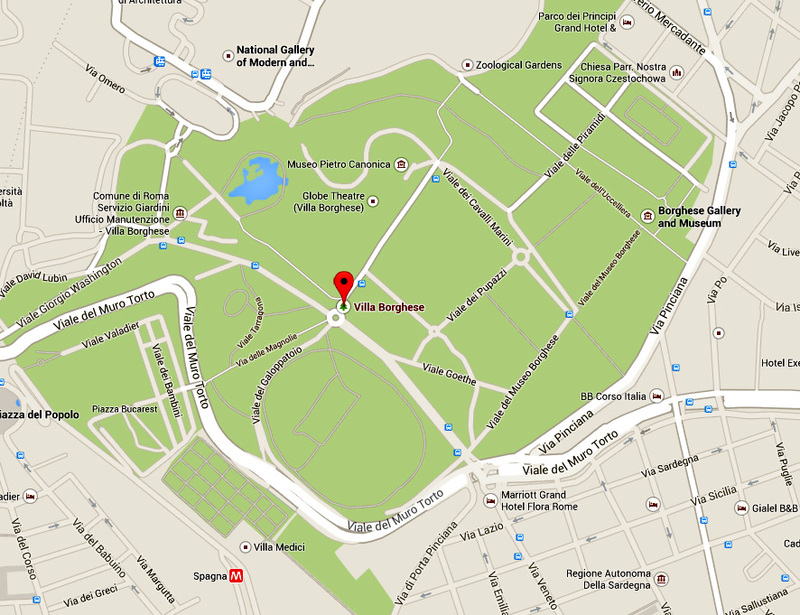 I wanted to see the Borghese Gallery and Museum. What a fantastic building with some fabulous art. 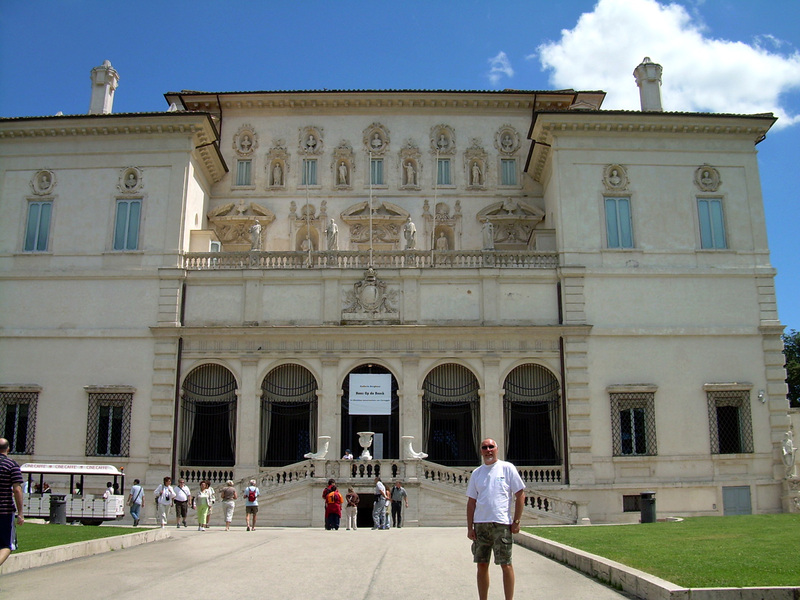 More about the Borghese Gallery and Museum can be found here. 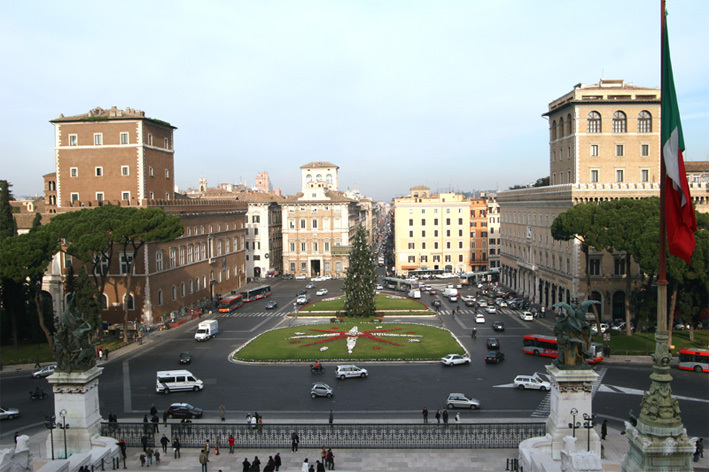 The collection was started by cardinal Scipione Borghese (nephew to Pope Paul V, whose original name was Camillo Borghese) in the 17th century. Walking around the park made us hungry, so we looked around for a cafeteria. With a prosciutto-mozzarella-tomato sandwich and a large cold orange juice we sat outside enjoying the sunny weather. After an espresso it was time to walk down Via Veneto and check out the expensive boutiques and restaurants. We walked all the way to the train station. 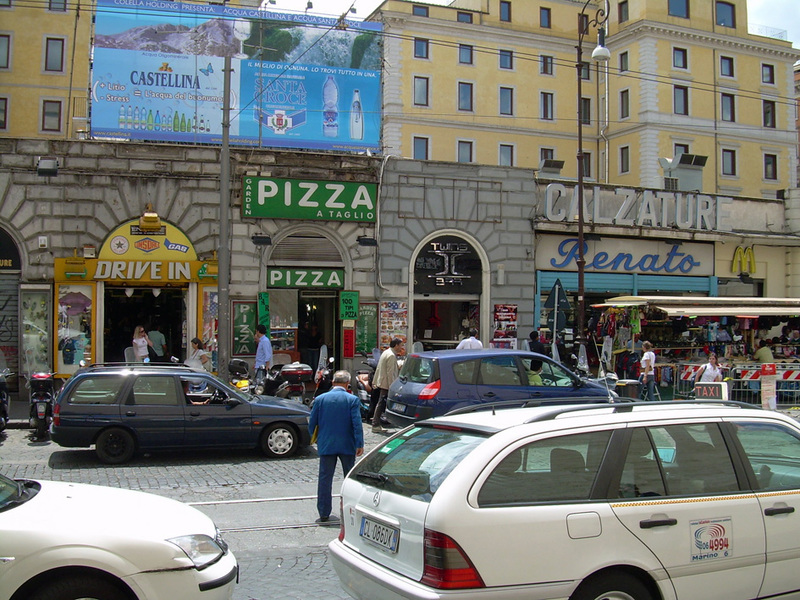 The streets around it are very hectic and full of small shops, cafeterias and pizzerias. 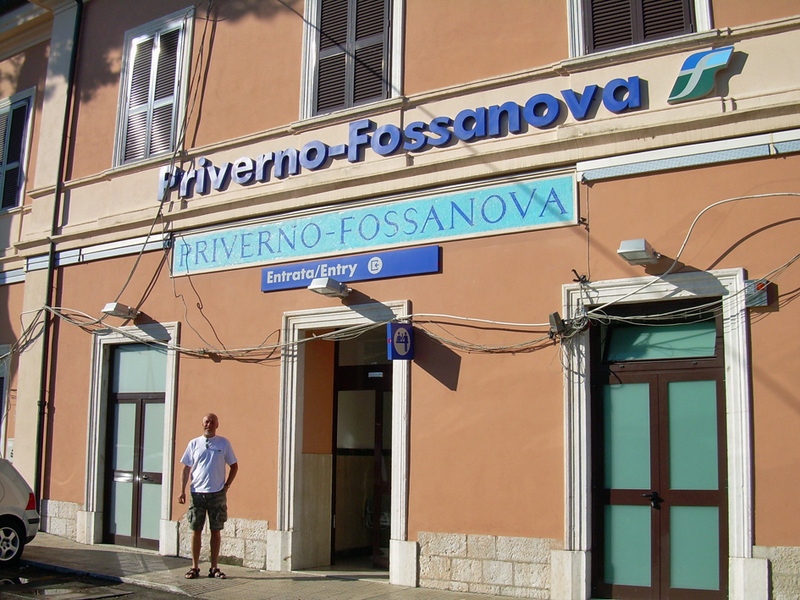 We said farewell to Rome and took the train back to Priverno-Fossanova. 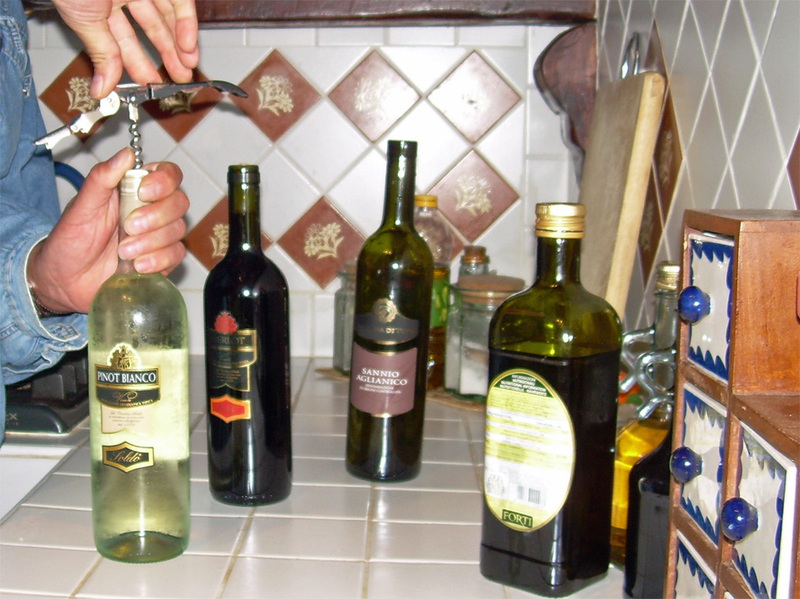 After a great day in Rome it was nice to open a bottle of white wine, cook a delicious dinner at the house and sit in the backyard relaxing and talking about everything we had seen in Rome. 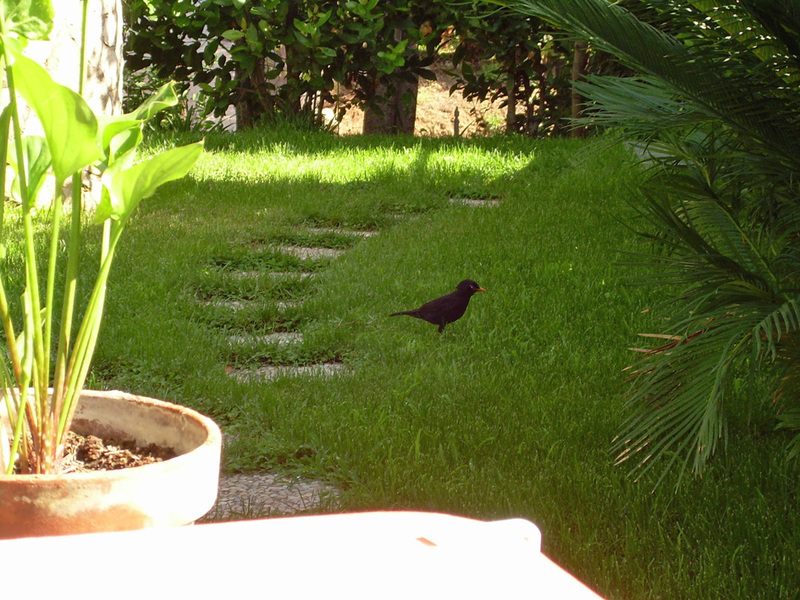 Our friend, a blackbird, was not shy. It searched for something good to eat and found this and that from our backyard.